Samsung Galaxy S3 is the best smartphone in the market today. The Galaxy S3 manufactured by Samsung electronics. Samsung unveiled the Galaxy S3 on 3 May 2012 in London. The device was released in 28 European and Middle Eastern countries on 29 May 2012, before being progressively released in other major markets in June 2012. Prior to release, 9 million pre-orders were placed by more than 100 carriers globally. 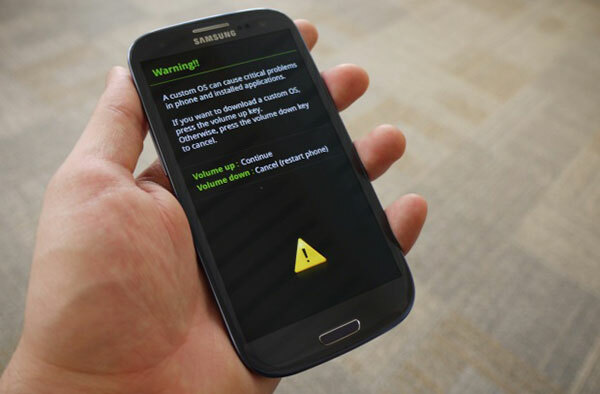 The S3 was released by approximately 300 carriers in nearly 150 countries at the end of July 2012. More than 20 million units of the S3 were sold within the first 100 days of release. Samsung has since sold more than 30 million devices. Android fans like rooting as it lets them use fancy things like custom ROMs — home-made operating systems — and use powerful applications that aren’t available in the Google Play store. Of course, getting rid of all the restrictions on your phone also gets rid of all the safety features too, so it’s important to bear in mind the risks. Using custom ROMs and unapproved apps can sometimes have diverse effects on your phone — if someone sinister has built a malicious app that you install without any of the usual barriers in place, it could wreak havoc, as it will have access to all the system files that apps on unrooted phones wouldn’t have. As the core architecture of the firmware is exposed, you could also end up totally destroying crucial bits of software, resulting in your phone being completely unusable — known as ‘bricking’ a device. It’s therefore important that you don’t attempt anything you’re unsure about and always check what other people in forums such as XDA-Developers have said about the software you’re trying to use. I’ll take this opportunity to point out that admin takes no responsibility for any damage done to your phone as a result of following these steps. Got it? Good. First things first — download the Samsung Kies software and make sure all the drivers for your phone on your PC are up to date. Back up all your contacts, photos and so on if you’ve already been using it, then disconnect your phone. 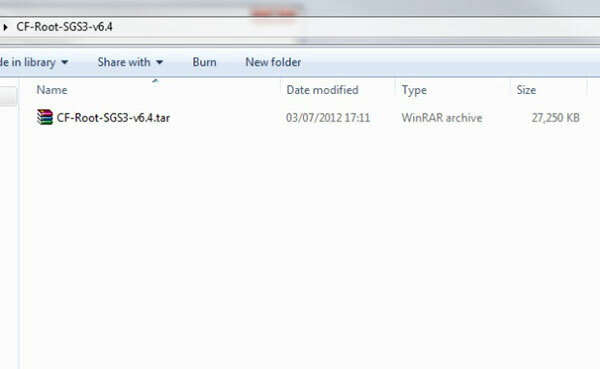 Extract Odin 3 using WinRar or similar and run the install executable file to install it to your computer. Then extract the CF-Root archive file. The crucial file in here is a .TAR file which my computer confusingly showed with the same compressed file icon, causing me to try to extract it, which showed two files — Cache.img and Recovery.img. If you see those, start again and extract the original archive just once. 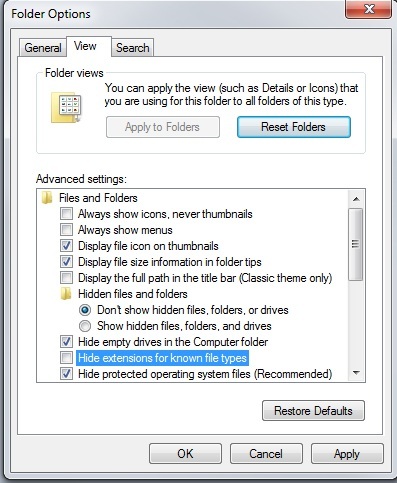 If you then open control panel > Folder Options and uncheck the ‘Hide extensions for known file types’ in the View tab and click apply, you’ll be able to see that the file masquerading as an archive folder has the .TAR file extension. Perhaps put that file on your desktop so you know where to find it. You’ll need to set your phone to go into ‘download mode’, which allows for files to be, er, downloaded and run on your phone — it’s a developer thing. Turn your phone off and wait for it to completely shut down. Press and hold the volume down key, the home button and the power button all at once and wait for a few seconds. It will then load and ask you if you want to enter download mode by pressing the volume up button — which you should do. When your phone’s in download mode, connect it back to your PC and you should see the word ‘Added’ in the message box in the bottom left quadrant of Odin. You should have the ‘Auto Reboot’ and ‘Reset Time’ boxes already checked. Take a deep breath and click Start. Odin will then go through the steps to root your phone and will show a green box saying ‘Pass’ in the program when it’s completed. Your phone should then show a black screen with scrolling text (that’s the rooting process) before it reboots back into the standard operating system you know and love. The first time I ran it, it didn’t load into the root process, but instead rebooted straight into the Android OS. I simply ran step 4 again and it all worked fine. When it reboots the final time it should all be done, letting you enter the wonderful world of the rooted Android phone owner. There’s a whole load of stuff you can do with a rooted phone and thankfully, numerous forums around the Internet where modders get together and share tips and software, so have a scout around and see what others are up to.